Pugs, also known as Chinese Pugs were first popularised in the 16th century in Western Europe. Now, these little canines are the craze as their features and size allow almost every household to have one. They are well known for their sense of humour and charisma! 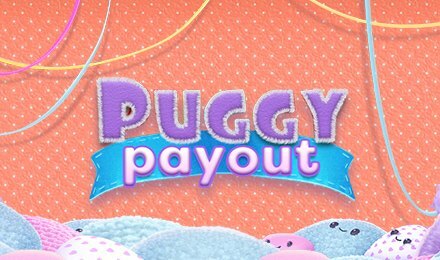 On Puggy Payout slot, you’re bound to be accompanied by loads of these cute dogs, as well as other bonus rounds and features! On the slot grid, find an array of symbols like: dog collars, bones, water bowls, dog beds, balls, A, K, Q, J, 10 and 9. The highest paying symbol is the Dog Collar, which awards 2,400 coins for a five-symbol combination! On the Bet/Line Field, set your bets and paylines by clicking on the up or down arrow. The Autoplay option also allows you to play the game hands free by selecting a number of auto spins to put to play. Amount of Paylines Selection: Select 1 to 25 paylines to put to play. Coin Values: Bet values range from £1.00 to £50.00. The Frisbee is the wild card of the game, which pitches in to help complete winning combinations. When the wild forms part of a winning combination, wins are doubled. It substitutes for all other symbols bar the scatter symbol. The scatter symbol is the Pug, which triggers the bonus round of the game. Three, four or five Pugs anywhere on the slot grid awards 15, 20 or 25 free spins to put to play! On a win spin, the gamble button is active. This button allows you to double your wins. By choosing from the two options available, make the correct guess and win 2x your bet or make the wrong guess and winnings will be lost.